How to Copy and Paste Emails in the Recipient List? 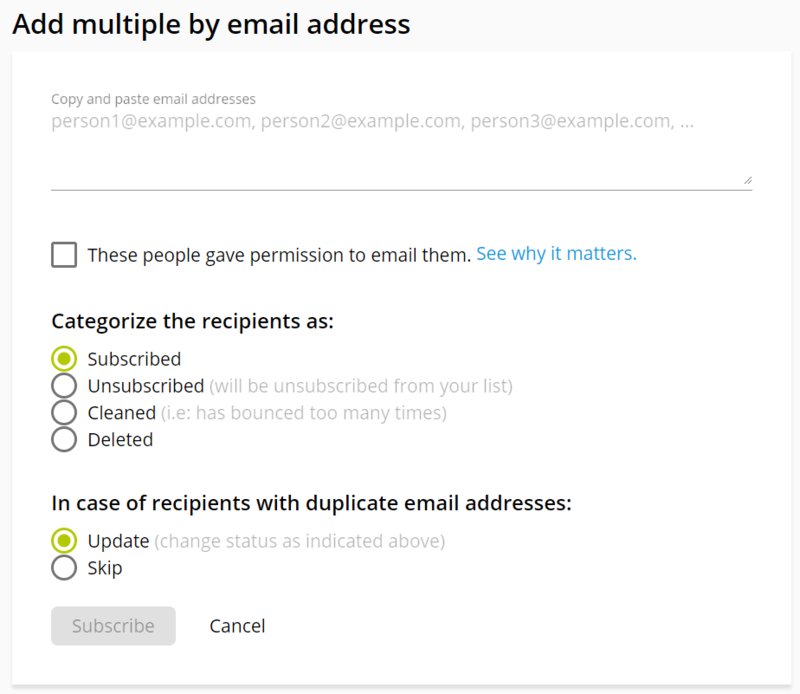 You can also copy and paste emails into your recipient list. Step 2: Paste the email address you would like to add. Check the checkbox that says 'These people gave permission to email them.' for legal policies of sending emails.